SEA URCHINS! I haven’t seen SEA URCHINS washed up on our shores in quite a while… much less cutie itty bitty ones like this. I normally don’t get so excited to collect PEN SHELLS (since we see them so often on our beaches) but I rarely see perfectly intact baby STIFF PEN SHELLS (on the left of my hand) and SAW TOOTH PENS SHELLS especially with no BARNACLES or SLIPPER SHELLS attached to them. They are so cute! See how thick this wrack line was? Some people in other parts of the world might think this was an ugly site on a beach… but not me and most beach combers. This is a haven for shells and BEACH BLING for beach combers and for wildlife as well. Thick wrack lines like this packed with all sort of vegetation and other sealife are so important for our beach ecosystem. They provide food for birds and other wildlife as well as providing a layer to trap sand for less erosion. They become incubators for dunes! But… Just to make sure this seaweed was a natural occurrence without being harmful, I asked my friend and director of the Sanibel Captiva Conservation Foundation (SCCF) Dr. Eric Milbrandt if he knew what types of matter had washed ashore. Of course he did! He said “There were 8 species from collections at Moonshadows beach and the Lighthouse beach. Many of the specimens had intact holdfasts and given the recent > 1 m wave heights, were likely attached and cast on shore. Many of these species are found at nearshore hardbottom areas (the same areas that produce many of the mollusc shells) whose abundance peaks in Nov.” He also reported that most of these species of seaweed (macroalgae) were common on all coasts. Thank you Dr. Milbrandt! I haven’t gotten a good dose of combing through cool BEACH BLING in a while so I was in haaaawg heaven. There were oodles of little micro shells, SEA WHIPS and other goodies so I could (and did) walk for miles and miles getting lost in discovering the fascinating gifts that Mother Nature leaves us on our beaches. Love the sea urchins!! When we were there back in July, we found many double dosinias, a perfectly formed and dried spider crab, and finally a ‘teenager’ stiff pen shell…will no barnacles! Can’t wait to get back and hunt out more shells! The tiny urchins are adorable. I need to add these cuties to my list of ‘to finds’..still hoping to be there in 5 days..I found many double dosinia in June on the beach in front of The Island Inn. We were able to get them back to Ohio with toliet paper and pringle cans. At the bottom there is a comparison of all 4 pen shells that live in Florida waters. Really to be sure you have the half-naked pen shell you have to look at the position of the muscle scar inside, and with the juveniles that is hard to see. I immediately thought of you Susan when I found these! I did compare them to the adults and thought they looked the same but i would be thrilled to have found “the other” pen shell. I will look at the links and look at the muscle scar. We saw oodles of them but only collected a few so that’s why I assumed they were the stiff pen shell because there were sooooo many of them. There were a few that were much darker in color as well. I’ll check! Thank you!!!! My sister and I found miniature shells there last night! That purple seaweed is cool. Do you know that today me and my brother, we found on the beach of barcelona a wonderful shell that his name is ARGONAUTA ARGO. this argonauta is of 10 cm and is white and a wonderful thing, is that we found the aniamal inside this shell, that was alive. So i took him and i brought to my house and i have put in my big aquarium with many fish. Was wonderful see a rare octpus inside his wonderful shell. if you want, i can put the photo of this wonderful argonauta on instagram. How many sea urchins you saw and find in all of the year that you shell? The argonaut you found with the shell is a female. She makes the shell especially to carry her eggs around in. I love finding the sea whips!! The baby sea urchins are so cute! I used to paint the gumballs gold that I found and put them on Christmas wreaths. I pick up some small pen shells too. Now I have to check out which kind the are. By the way Pam are those sand dollars in the picture of seaweed and your foot? Hi pat! We used to paint those gumballs gold too for Christmas! That photo seemed to overexposed everything that was white but those white dots were shell fragments. You are becoming quite knowledgeable about everything on those beautiful beaches. Koodos to you!!! And I love your little toes sticking out in the beach bling. Coming back this weekend for a week with three girlfriends. Looking forward to low tides, beautiful sunrises and sunsets, and, of course, shells!!!! Hope to see you on the beach!! The baby sea urchins are way too cute. We found some tiny sea urchins last week at Midnight Pass Beach on Casey Key, and I thought we had found the cutest sea urchins on the planet! I did a fun experiment last night with fossil seashells. I read an article called “Light Show from Beyond the Grave” by Edward C. Wilson, and he said, “Under ultraviolet light, chalky white fossil seashells from Florida reveal fluorescent colors that are remains of former color patterns.” The article has pictures of how awesome fossil seashells look under black light, so I had to try it. I grabbed my jar of fossil shells and a black light and headed for the darkest spot in our house (our closet). The cone shells showed up the best, and the ordinarily white shells turned brilliant purple and orange under the black light with the color patterns of the shells showing up clearly. It was a fun experiment, so you might want to try it sometime! 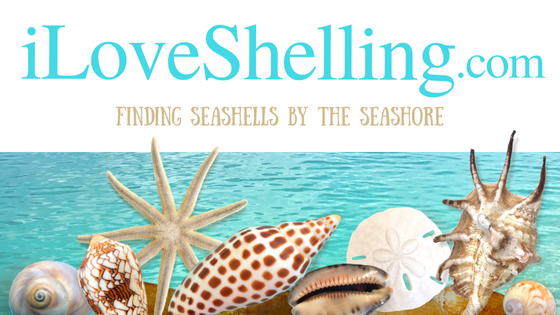 Thank-you for creating a blog where I can keep discovering new things about my favorite subject–seashells! Those Docinias make wonderful mirrors – two rows around a big mirror – what fun – not nearly as beautiful as your “wormie” mirror, tho’ – Can’t imagine anything would be that beautiful! Counting the days until our final move down – Nov 20…..see you soon! I got stung by jelly fish near Madeira Beach (St. Pete area) last weekend. I wondered if they would drift south! Ouch! Strange creatures – I hope they’ve drifted away by now! How fascinating. I will definitely have to try it with my shells too. I love how we all learn from each other. Pam, maybe you could do a blog about it with pictures? I wonder if pictures come out right under a black light? What fun. Oh I wish you would have put in back in the water where it belongs . . .
Last night someone told us about a warm water bacteria in Florida and this morning I looked online and apparently someone died. This is what I found: “vibrio vulnificus, an infection caused by a bacteria found in warm salt water.” Is that going on in your area? I also found perfect double dosinias and also the ribbed clam intact at Sanibel Inn and Island Inn in May of this year. I got them home wrapped in tissue and small plastic containers. Sometimes I ship my “treasures” home to insure their safety. It is worth the cost! One winter in Galveston there was an unusually cold cold spell. When a friend and I checked the beach in the morning, there were hundreds of stiff pen shells, all juvenile, all the same size, lying dead on the sand. It was an awesome sight. I love all the bling you found and described. 12 days and counting—Sanibel here we come! Every time I look at your emails and pics of shells and animals I learn something. Thank you for the learning experience. Pam, THANKS for the super information. sunny super blessed shelling weekend. Pam, have you or Clark ever tried swimming at Lighthouse Beach? Just diving underwater with a facemask or something? We did that during our four days at Sanibel and gleaned some spectacshellar shells! :D Really we only had to go about ten feet out to find them, but all of our best shells were found at least one hundred fifty feet off the beach, out past the sandbar. I know, I know, there’s a sign in the parking lot that says, “Warning: Dangerous Current!” We did not see the sign until we had already been out there. And by that time, there was no hope for us. We had seen the treasures out there, and were instantly hooked! ;)Also, on the days we were there, the current was strong, but not too strong. My mom and brother stayed in water about four feet deep, but my dad and I went out to when it was closer to fiver and a half. The longest I stayed out at a time was three hours, so it must not have been that strong. On the other hand, I fell asleep at eight thirty that night, so who knows. All I know is, there are amazing shells out there, so maybe on a calm warm day you could try it. Lydia, I loooove that you shared this info! Honestly, I’ve snorkeled there but lately it seems like we go to the lighthouse area for long beach combing walks and not swimming/snorkeling as much. I see people finding great stuff out in the water all the time and now that you mentioned this we’ll all think about snorkeling there a bit more if the current isn’t strong. Thanks so much for the tips!! !